Every year, Camp Cocker Rescue’s calendar showcases our favorite wigglebutts – our adopted dogs. we’re giving all wigglebutts a chance to be in our calendar. All dogs are welcome – you don’t have to be a Camp Cocker dog, or even a Cocker Spaniel! It's only $1 a vote and rally all of your friends and family to join in the fun and help raise donations for a good cause like the doggies of Camp Cocker Rescue! Here's how it works - "voting" is done by donating. Each dollar raised counts as one vote. 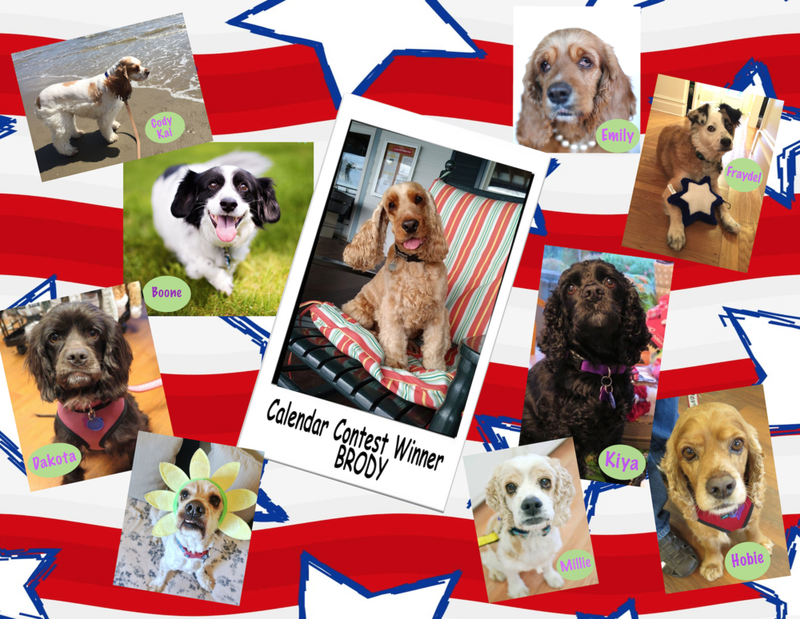 So go ahead, enter your best photo of your dog (no humans, please) and start sharing your fundraising page on social media to ask everyone you know to help your doggie be one of the top twelve dogs to make it into one of the top twelve featured spots in the 2019 Camp Cocker Rescue calendar! 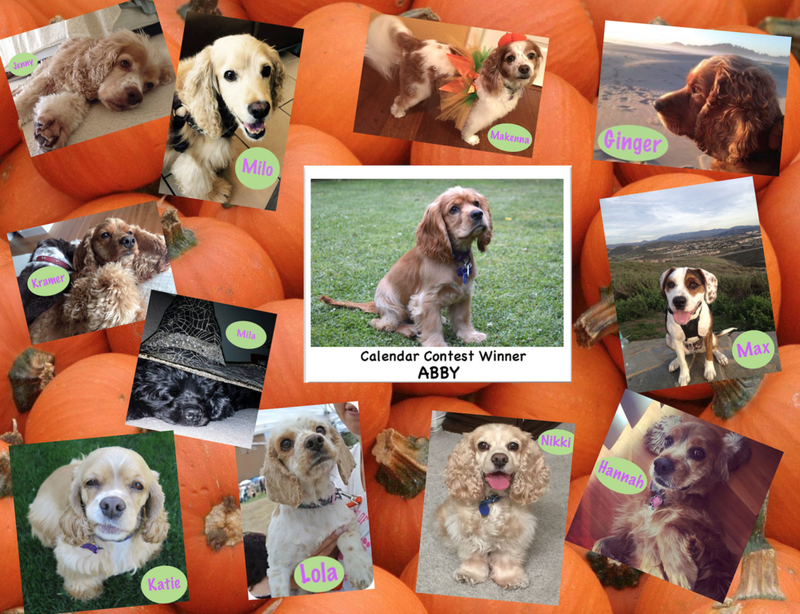 JOIN IN ON THE FUN and enter your dog's photo into the Calendar Photo Contest for a chance to get in the 2019 Camp Cocker Rescue calendar!